Järvsö aims to become a global front-runner in sustainable and responsible tourism and to realize its goal of achieving the highest benchmark for sustainable tourism in Scandinavia. The destination has engaged EarthCheck the Australian tourism benchmarking and certification group to help guide the project. The EarthCheck Sustainable Destinations program will provide Järvsö with a scientific framework to benchmark, certify and continuously improve their environmental, cultural, social and economic performance. The Global Sustainability Tourism Council’s criteria for destinations will be used as a policy and planning guide. 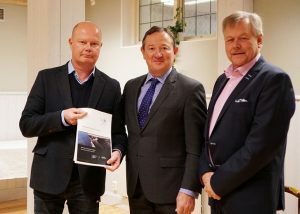 Gävleborg County Governor, Per Bill said the strategic approach will help Järvsö achieve a range of economic and sustainable benefits for tourism, local communities, the environment and cultural heritage. “Järvsö, as a responsible tourist destination, will be a perfect fit for our sustainable projects throughout Gävleborg,” Mr Bill says. “Furthermore, this is a positive step for us to achieve the 2030 Agenda for Sustainable Development”. Roland Hamlin the project coordinator at Ljusdals municipality notes that Järvsö has a strong vision and long-term commitment to sustainability and responsible tourism development. 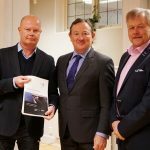 “Becoming Sweden’s first EarthCheck Certified Destination will add value to the way in which we market Järvsö as a lifestyle destination to visit, work, live and bring up children,” Mr Hamlin said. EarthCheck Founder and CEO Stewart Moore noted that places where people want to visit and live – and that are sustainable – do not happen by chance: they are a product of visionary thinking and commitment by industry and community leaders. “Achieving sustainable tourism requires collaboration, determination and systematic planning across the destination,” Mr Moore says. Based on the fundamental belief that ‘what gets measured, gets managed’ is at the core of EarthCheck’s Sustainable Destinations Program which is built on performance based measurement. The EarthCheck program helps destinations to measure and monitor their environmental economic and social impact, and prepare and track that performance against their own targets and the performance of other destinations. In recent years, Järvsö has made positive strides in sustainability including the development of a heritage tourism framework, train and bicycle travel network and a training platform for local operators.